At Animal Lifeline, it is our philosophy that like people, animals also deserve the same basic necessities in life. Our food bank, located at 1111 Easton Road (Route 611) in Warrington, PA, feeds dozens of dogs and cats in Bucks County and the surrounding communities monthly. The food bank supplies food and other basic needs to low-income families, individuals that care for feral cats, and numerous shelters and rescues. Promoting the health and well being of pets is crucial for families and the community at large. If you are a food bank, rescue or shelter in need of food and supply assistance please complete an application then call 215-343-5050 or email info@animallifelinepa.org to notify us that you have completed the application. Families in Bucks County in need of food or litter please call 215-343-5050. Proof of income required. The PET FOOD BANK is OPEN the LAST SATURDAY of EACH MONTH from 11:00 – 2:00pm. All dates will be on the Animal Lifeline Voicemail, please call ahead to verify we have sufficient supplies for all. The food bank is supported with generous donations from individuals, retailers and manufacturers. 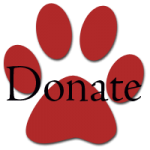 All dog & cat food, first aid supplies, leashes, crates and other basic needs are accepted and greatly appreciated. Thank you for supporting us in this critical mission! We provide permanent collection bins as well as monthly bins at various locations throughout Bucks County. Collection bins are available for service project collections and are coordinated regularly with local schools, churches, hospitals, businesses and organizations. Please let us know if you can help the food bank!